We produce high quality writing instruments distinguished by having a different and innovative design, aimed to satisfy anyone who loves writing and enjoys the feeling of holding a nice object. Each pen is designed and hand crafted in Italy. Where there is passion there is quality and innovation, this is the main reason that gives our pens a superior value. Passion and innovation in writing instruments, with this slogan we emphasize the two most important values of our work: design innovation and exceptional quality. LOCLEN’s goal is to satisfy anyone who is passionate about pens by creating extraordinary writing instruments distinguished by having a different and innovative design. Our pens are characterized by having a unique and innovative design. We stand out from the competition by designing pens that perfectly meet the contemporary demand of everyone who is passionate about writing instruments and is looking for something different, cool and functional. Passion is the foundation for excellence. In our laboratory not far from Venice in Northern Italy we make all the work, we start from blank rods of brass, titanium, acrylic and special resins and then by using state of the art lathes and mills we craft beautiful pens that are unique in design and quality. We absolutely do not use any pen kit, our pens are 100% made out of blank bars. 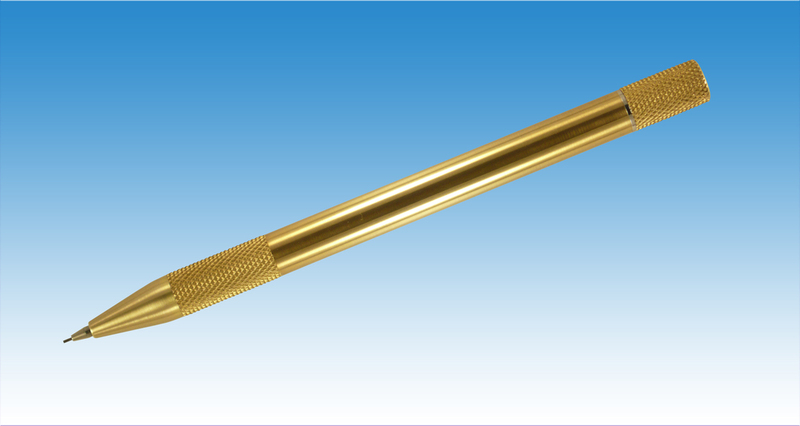 Gold nibs and internal mechanisms are imported directly from Germany, we use the best available on the market. We have been selling our pens since 2008, they can be seen in Pen World Magazine, the world leading publication for writing instruments, we also expose at the most important US Pen Shows like the Washington DC pen Show and the Los Angeles Pen Show and every year in January we expose at the Paper World in Frankfurt, Germany. If you join our newsletter you will receive not only the latest news regarding new designs, but also the schedule for the new pen shows we will attend. Please explore our web site and feel free to e-mail us should you have some other questions, we will be very glad to respond to you. Thank you for your interest in our pens and we look forward to hear from you soon.